They are printed on exterior grade, heat laminated vinyl, so they will stick well and not wear off. 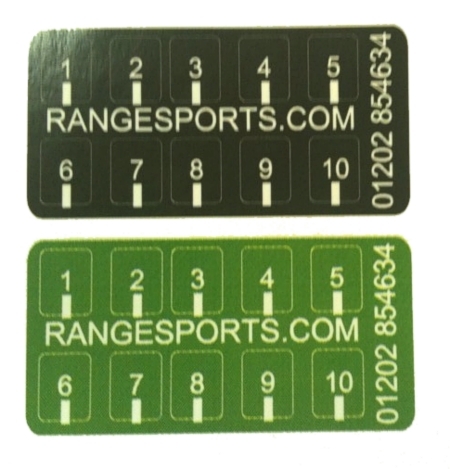 (same material as used on vehicle graphics) .The labels have rounded corners and a slightly textured surface. Black with white lettering and markers. The set contains the following numbers for the top turret. So should suit most turrets.